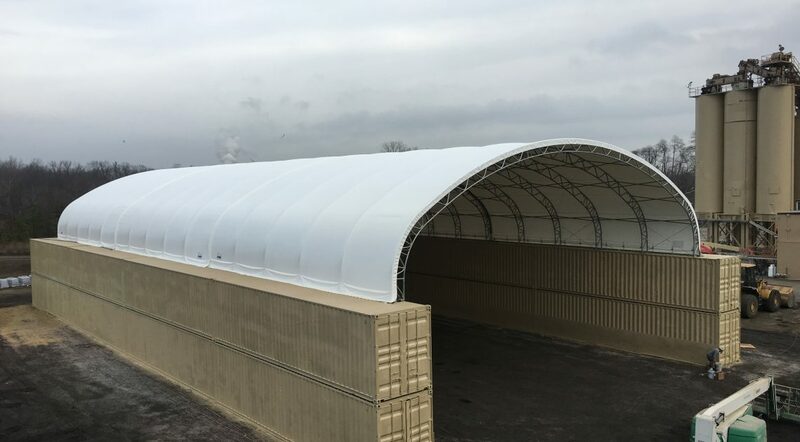 Clear span fabric structures from Big Top offer convenient solutions for construction sites that need temporary buildings. 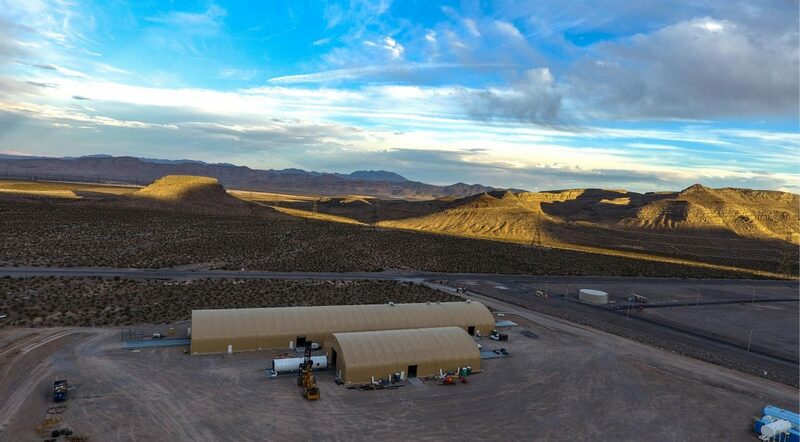 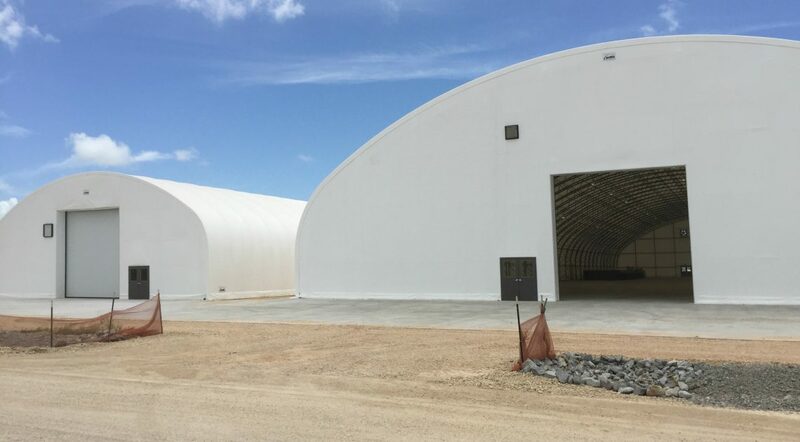 Our tension structures can be erected quickly – usually in a matter of hours – and can be secured to just about any foundation, even dirt, gravel, asphalt, concrete, and containers. 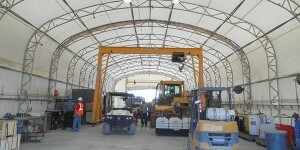 As construction work progresses, our fabric buildings can be easily moved around the job-site using a crane. 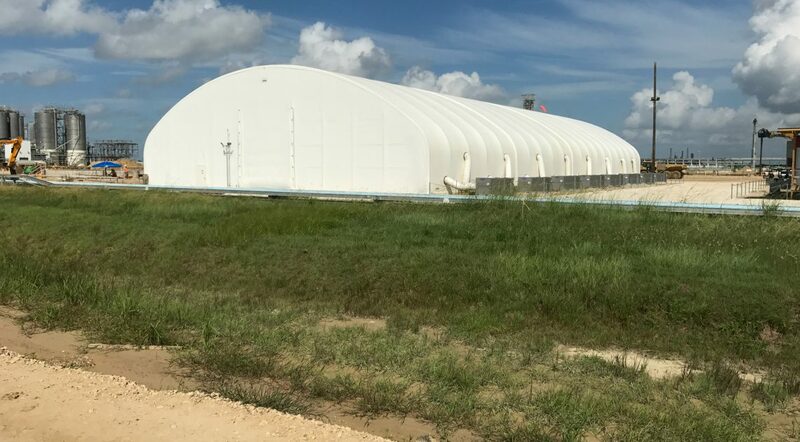 The translucent fabric in our structures lets in natural light, which can save on energy costs, and has been engineered to block 99.95 percent of UV-A and UV-B radiation for a UPF rating of 2,000 and a conventional rating of 50 plus, ensuring ample protection for your equipment, materials, and crew. 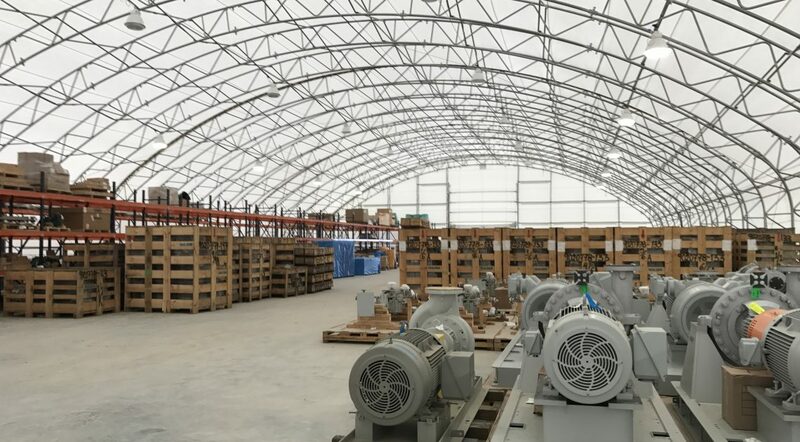 This superior UV protection also helps to maintain a comfortable interior temperature that is an average of 15 degrees cooler in the summer and warmer in the winter. 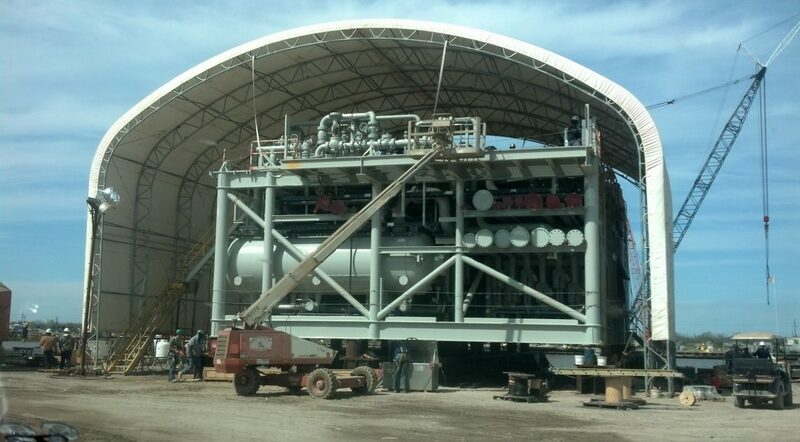 Additionally, our fabric is rip-resistant and NFPA-701 flame-retardant. 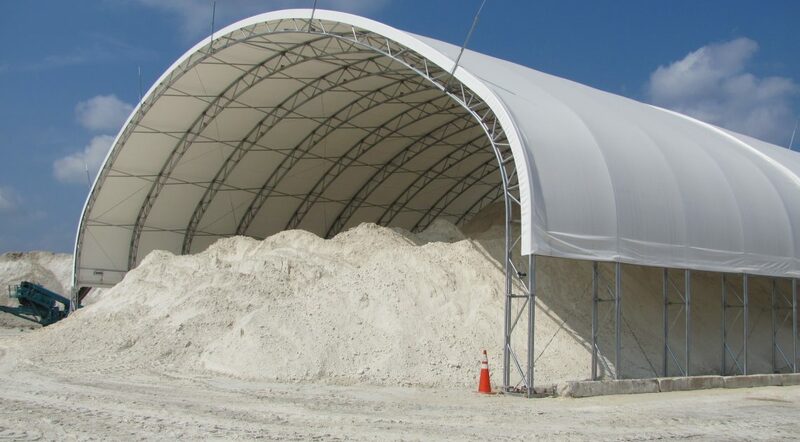 Our fabric structures can be engineered for wind and snow loads to accommodate the climate where your construction site is located. 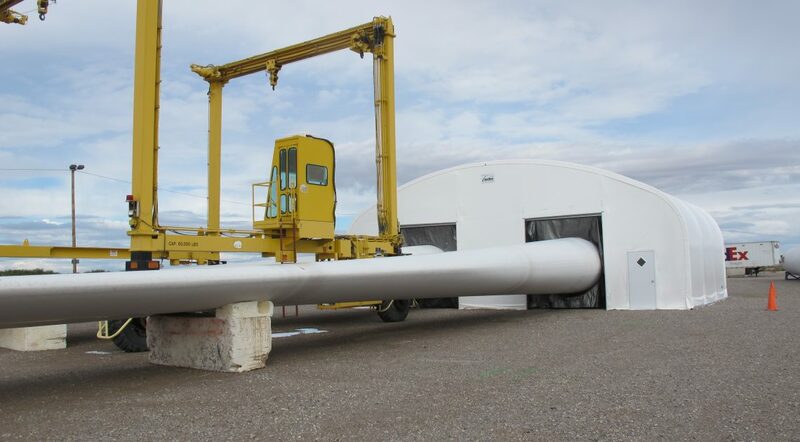 Plus, there are countless accessories available to meet your needs. 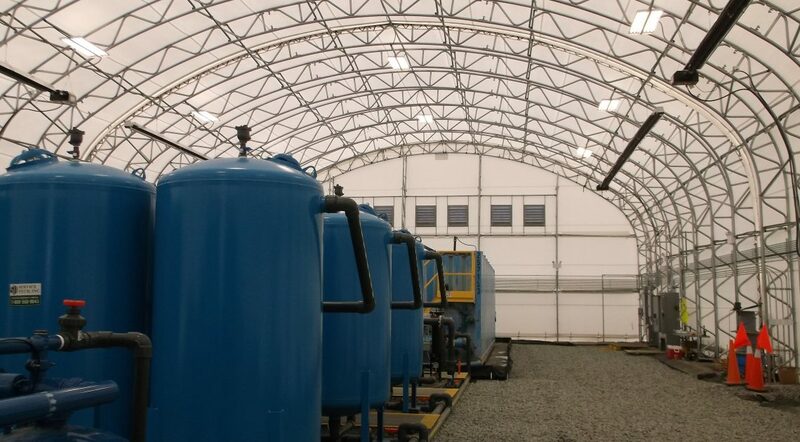 These include doors, flooring, HVAC systems, insulation, electric lighting, and much more. 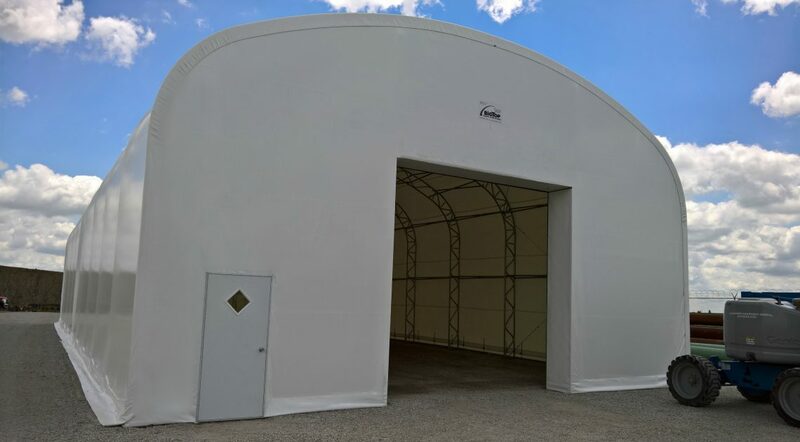 Our buildings can be sized according to your specifications and can be expanded and modified as needed as work continues on your construction site. 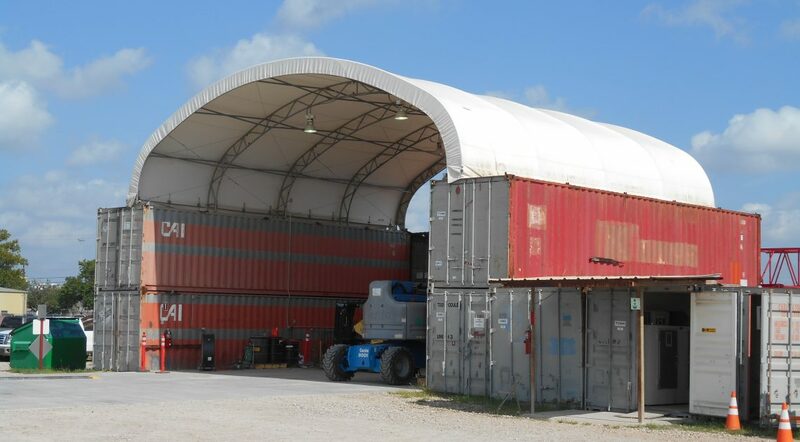 Furthermore, our structures can be claimed as equipment with the IRS, leading to potential tax savings. 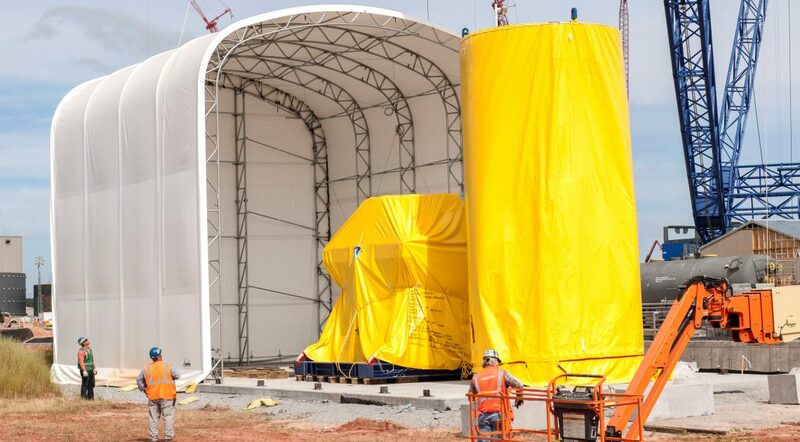 For more information about our fabric structures, contact Big Top today. 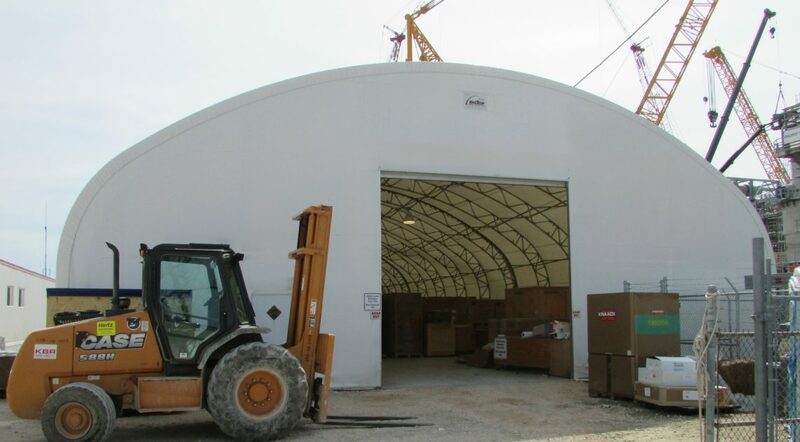 We have many years of industry experience providing temporary clear span buildings for construction sites all over the country.